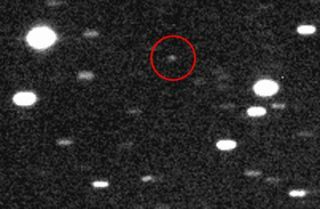 The skywatchers spotted the asteroid, which is known as 2011 SF108, in September using a telescope in the Canary Islands. While 2011 SF108's orbit appears to bring it no closer to Earth than about 18 million miles (30 million kilometers), it still qualifies as a near-Earth object — the class of space rocks that could pose a danger to our planet. After examing telescope images from three separate nights, the TOTAS team was able to determine 2011 SF108's orbit well enough to declare it a near-Earth object.